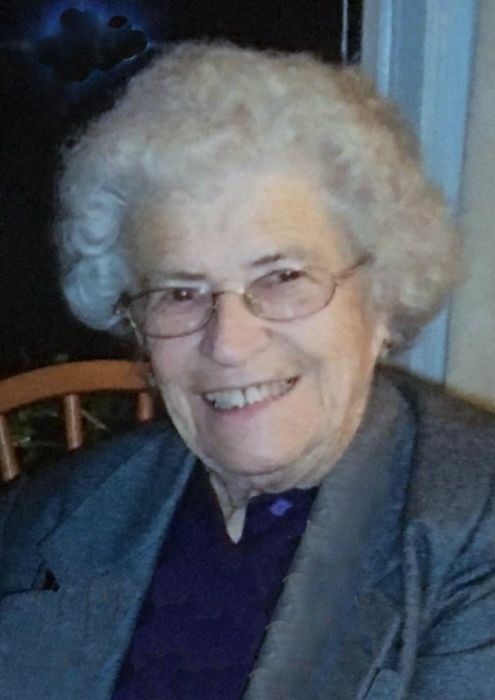 Alice L. (Meunier) Rearson, 93, of Georgetown and formerly of Ipswich, passed away Sunday, April 14, 2019 at Anna Jaques Hospital in Newburyport. Alice was born in Ipswich, MA to the late Albert and Frances Meunier on April 15, 1925. Alice worked and traveled for the IRS in Andover for many years until her retirement. She was a longtime member of the Lions Club and during her spare time, Alice enjoyed knitting and needlepoint, however her greatest passion was caring for "Her" dogs, Brady and Brina. Alice was the devoted wife and mother of the late, Joseph A. Rearson, Jr. and Joseph A. Rearson, III. and is survived by her dear friend, Margo Maione of Georgetown and her sister-in-law, Arlene A. Meunier of Ipswich as well as her nieces and nephews. Alice was predeceased by her brother, Albert L. Meunier, Jr.